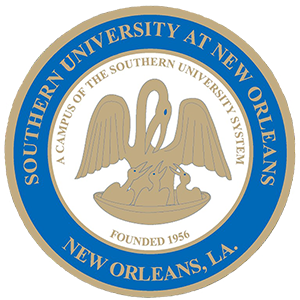 NEW ORLEANS, LA – Nov. 29, 2017 – Southern University at New Orleans (SUNO) will host a benefit reception for members of the National African American Reparations Commission Thursday, Nov. 30, 2017 at 7 p.m. in the SUNO Conference Center. Southern University at New Orleans (SUNO) will host a benefit reception for members of the National African American Reparations Commission Thursday, Nov. 30, 2017 at 7 p.m. in the SUNO Conference Center. NEW ORLEANS, LA – Oct. 28, 2017 – The Southern University at New Orleans (SUNO) College of Business & Public Administration is hosting a Tax Generation and Utilization Conference for parish presidents, mayors and other public officials. The conference is scheduled from 10 a.m.-3 p.m. Saturday, Oct. 28, 2017 in the Conference Center. NEW ORLEANS, LA – Oct. 2, 2017 – Fall enrollment figures for Southern University at New Orleans (SUNO) indicate that 2,535 students are enrolled for the 2017 fall semester. This represents a 4.3 percent increase from the 2,430 students who enrolled in fall 2016. NEW ORLEANS, LA – Oct. 2, 2017 – The Southern University at New Orleans (SUNO) Foundation invites the community to support its annual BASH, which raises money for student scholarships. The BASH will be Friday, Oct.27, 2017 from 7-10 p.m. at the Hyatt Regency New Orleans. NEW ORLEANS, LA – August 30, 2017 – Southern University at New Orleans (SUNO) is collecting nonperishable food items to support Hurricane Harvey relief efforts. Southern University at New Orleans (SUNO) is collecting nonperishable food items to support Hurricane Harvey relief efforts. Homeownership is within reach of Black Americans and continues to be the best way to start building wealth. New Orleans area Black residents are invited to attend Community Wealth Building Day, Saturday, July 29, 2017, 9:30 a.m.–2 p.m. to learn how. NEW ORLEANS, LA – July 19, 2017 -- Anthony Bean Community Theater Summer Performing Arts Camp brings the magic of R&B music to life on stage in "OLD SKOOL."